Please sign up for tennis-only emails to keep up on tennis happenings and any weather related issues. Sign-ups can be done at the gatehouse or the tennis shed. Tennis clinics are run Monday through Saturday for adults and kids. Come and try them out! Tennis staff are available for private lessons. List of pros and pricing will be at the gate house on the bulletin board. Mixed Doubles Tournament will be reschedule. Pro-Am Tournament Wednesday July 18th at 9am. Sign-ups at the gatehouse and tennis shed or email Doryan at doryan.amato@verizon.net. No kids clinics that morning! Refreshments to follow! Saturday July 21st is Head/Penn Day. A rep from the company will be here to show the latest and greatest in tennis equipment. 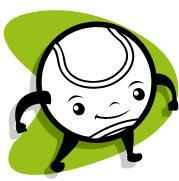 Kids Tennis Fun Day rescheduled for Friday July 27th from 10am-1PM with a rain date for Monday July 30th. No adult clinics that morning!